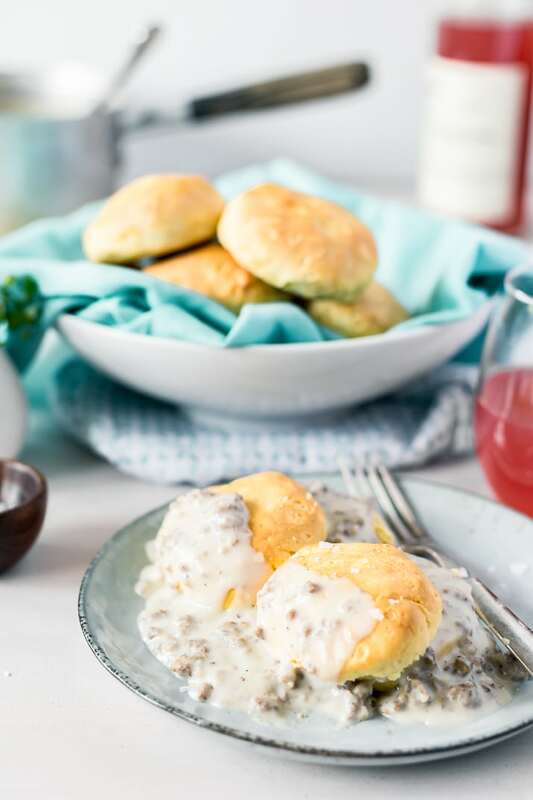 This Sausage Gravy recipe is loaded with flavor, made with ground pork, rich cream, and a touch of garlic, plus a small splash of apple cider vinegar really brings the dish to life! Shoester is my buddy and best friend… and he’s also a golden retriever! He keeps me company when I work from home and lifts my mood whenever I’m feeling down or stressed. Even though he has four paws and a tail, this pup is a member of our family and we treat him like one. Naturally, when it comes to his diet, we give him the best food possible. Table scraps aren’t always the best for a dog’s diet, so I always look for tasty treats that are made with real, delicious ingredients. So when I discovered Vita Bone® Artisan Inspired® Dog Treats – which looked good enough for me to eat – I knew they’d be a great choice for my partner-in-crime. They’re made with real meat, fruit, and vegetables and never contain any corn, soy, by-products or artificial flavors. Plus, they’re sourced in America and produced by a family-owned company. After a little research, I decided that this was a product I could trust enough to bring home to my spoiled (but deserving) pooch! 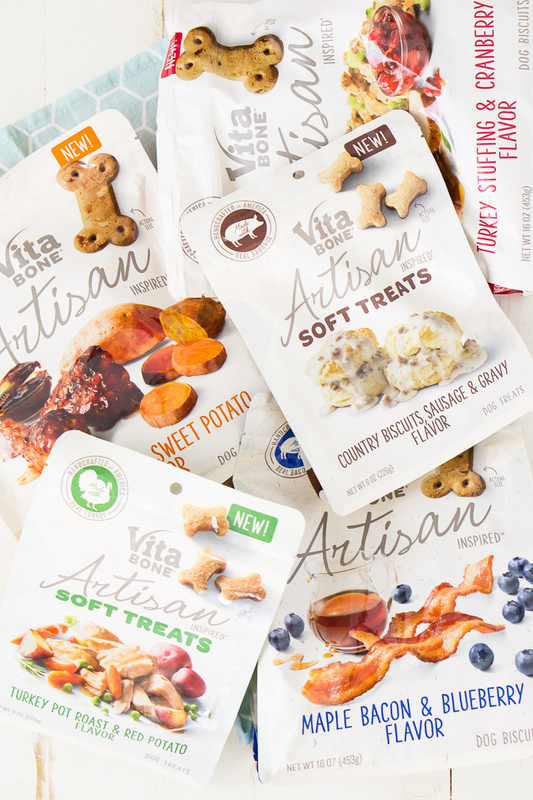 Vita Bone Artisan Inspired Dog Treats come in a variety of gourmet flavors that are fit for the loyal, four-legged friends in our lives. I picked up a bag of Country Biscuits, Sausage & Gravy flavor soft treats because they’re reminiscent of one of my favorite cozy fall breakfasts, plus Shoe is a sucker for sausage. When I peeled the seal off these moist, chewy goodies, they even smelled like the real thing… and boy, were they a hit with my pupper! 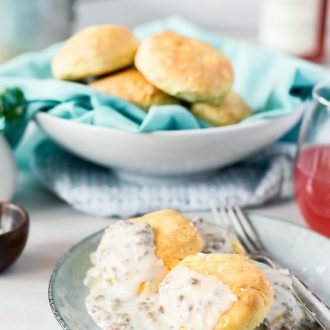 In fact, the aroma of these treats was so scrumptious, I had an idea: I decided to make a plate of sausage gravy and biscuits for myself to enjoy alongside Shoe one cool autumn morning. My version of this classic meal is super simple. The heart and soul of this dish is the gravy, so I make mine extra flavorful with ground pork sausage, fresh cream, and zesty spices, then pour it over warm homemade biscuits or even store-bought ones if you’re in a hurry (or feeling a little lazy). When I sat down at the table with my hot breakfast and steaming mug of coffee, and looked down to Shoe staring longingly at me – of course, he wanted to steal a bite! But instead, I offered him a tantalizing handful of Vita Bone Artisan Inspired treats. I didn’t even feel bad about not sharing because I knew he was eating as well as me. Better yet, I felt good about feeding him these yummy snacks, which are made just for dogs! While you’d think that these gourmet goodies would only be available at expensive specialty pet stores, I’m happy to say that this isn’t the case. You can pick them up at Walmart and grocery stores across the country. Not only have I found a treat that Shoester loves and I can trust, it’s easy to keep them on hand because I can pick them up at the places where I do the most errands. 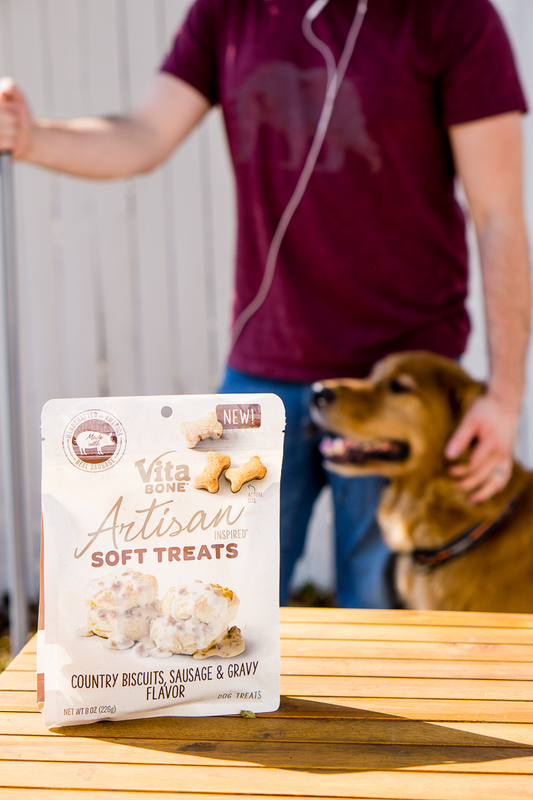 If your dog deserves to eat as well as you do, bring home a bag of Vita Bone® Artisan Inspired® Dog Treats. 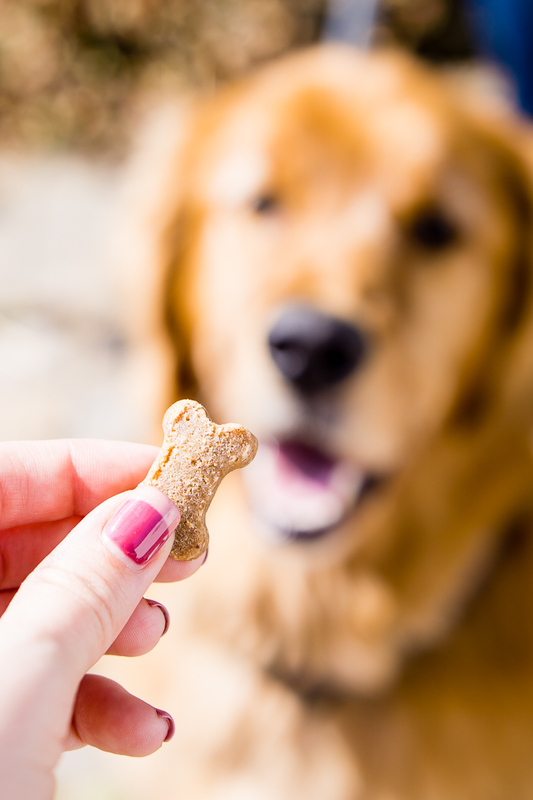 With varieties like BBQ Chicken & Sweet Potato flavor biscuits and Turkey Pot Roast & Red Potato flavor soft treats, your pup’s snack may rival what’s on your dinner plate! 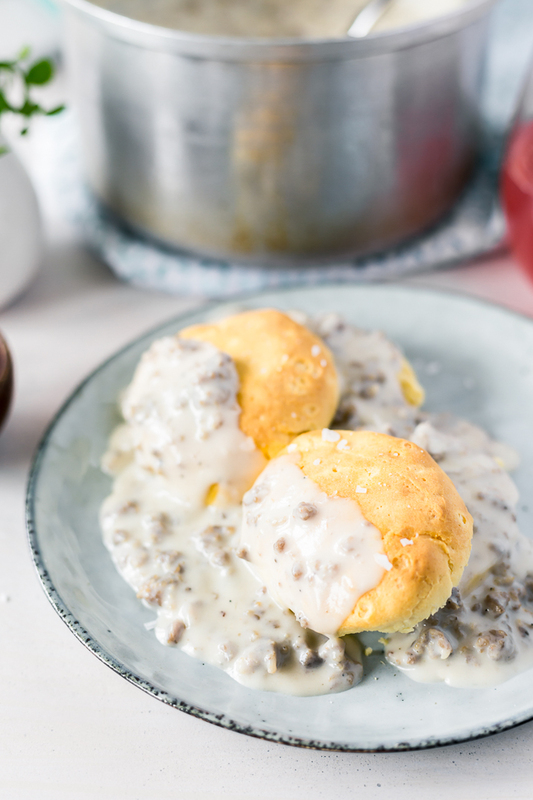 And if you’re looking for a delicious and comforting breakfast option, you must whip up a batch of this delicious Sausage Gravy recipe! What I love about this sausage gravy recipe! Easy to make – with a limited amount of ingredient and one saucepan, this dish comes together quite easily on the stovetop! 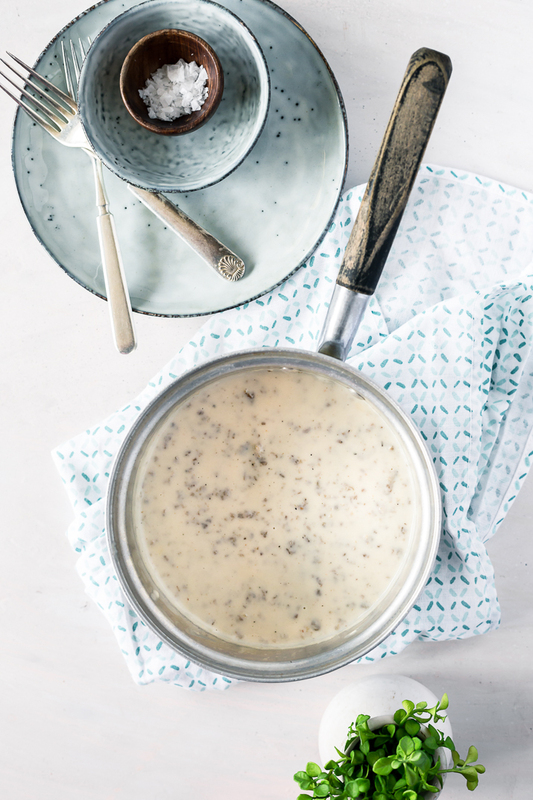 Quick to make – It will only take about 20 to 25 minutes to whip this delicious sausage gravy up! 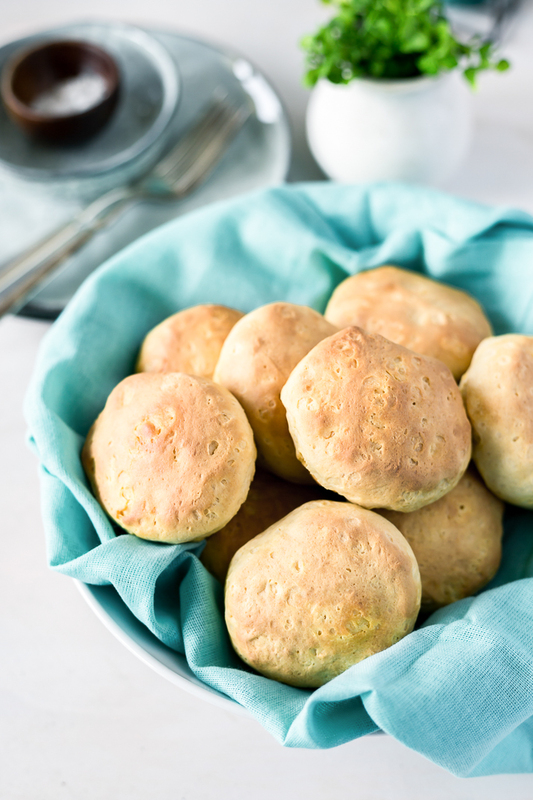 Place the biscuits in the oven when you start cooking and both should be ready at about the same time! Delicious – You’re going to love the creamy deliciousness that is this recipe! And a little bit of apple cider vinegar gives it a touch of acidity that makes it stand out amongst similar recipes! See how to make this recipe in the video below! In a large skillet, cook the sausage over medium-high heat until brown and crumbly, stirring frequently, about 10 minutes. Sprinkle the flour over the sausage, stirring to coat. Gradually whisk in the milk and cream. Add the vinegar, salt, garlic powder, and pepper and bring to a simmer for 10 minutes. Wow, this recipe showed me sausage pepper gravy is waaayy easier than i thought! just finished it a couple minutes ago and i’m waiting on my safeway store brand biscuits to bake. I’m so excited! this is one of my favorite things to eat and knowing i can cook it makes me so happy! thank you so much for this. I’m so glad you enjoyed it, it’s such a classic and so much easier to make than most people think! The apple cider vinegar is something new…going to have to try this next time we make biscuits and gravy! Yes, I love the little extra it adds to the dish. Brightens it up just a touch. Looks super delicious and interesting to make! Thanks, Richa, it’s definitely a different recipe, especially for a breakfast dish!